I don’t like to sell my shotguns, especially if it’s one I’ve had for a while. Once I’ve had a double for a few seasons, we’ve been places together and shared time. I remember slipping it out of its case at the beginning of hope-filled October days and breaking it down as I remember the points made and the birds hit and missed. The gun becomes part of my season – as important to me as the people and dogs I walk the woods with and the covers I visit. But life is expensive, especially if you’re crazy about dogs, hunting and old shotguns. As bills pile up, some things have to go. So it’s time to say goodbye to this one: An L.C. 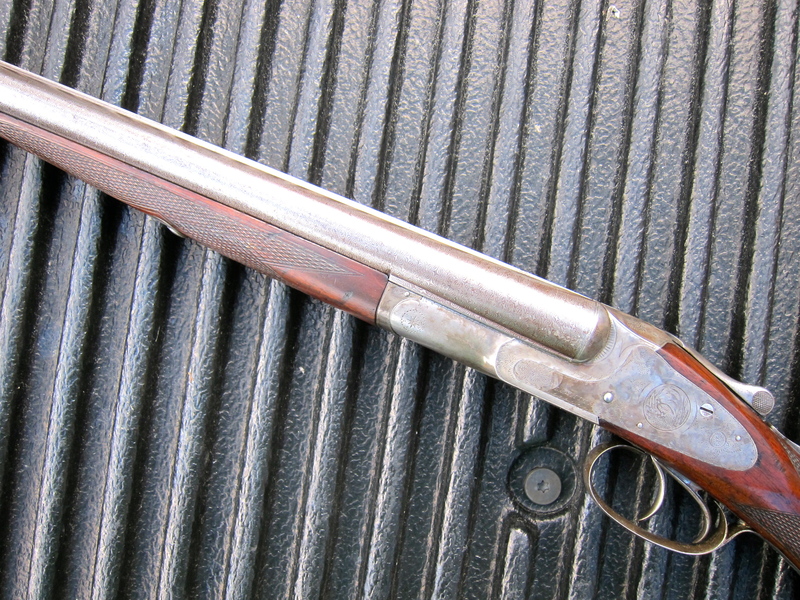 Smith 16 gauge No. 2 with Ejectors and 28″ damascus barrels. It’s on Gunbroker.com now, and the listing ends tomorrow, 12/10/2013, at 9:00 p.m. ET. The Hunter Arms Co. introduced the No. 2 grade guns in 1890 and they built them until 1914. The No. 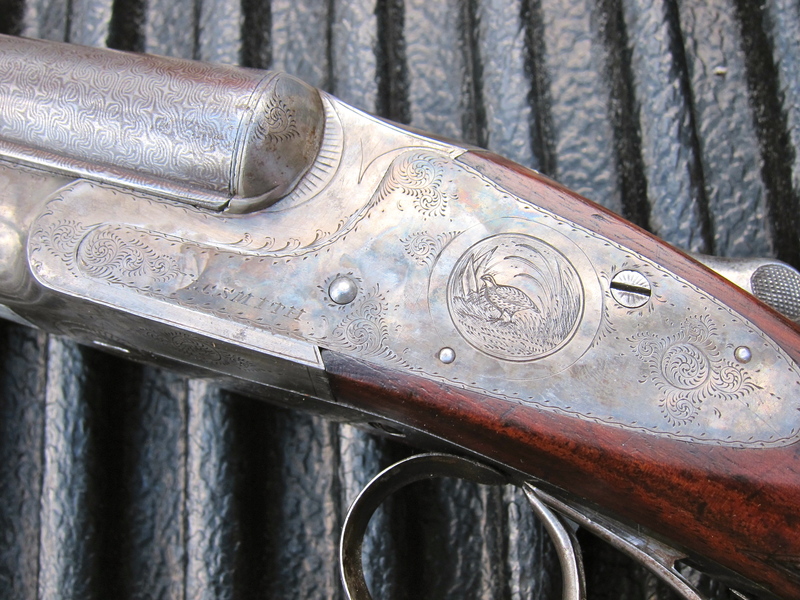 2 was a popular model, but people didn’t order many of them in 16 gauge. Of the 12,483 No. 2s the company made 12,483, just 793 were sixteens. Far, far fewer of these sixteens had ejectors, damascus barrels, and double triggers. So the SxS you see here is tough to find, and when you factor in its condition, you’re looking at an extremely rare double barrel shotgun. Nice One – also a really cool Uncle Dan you’ve got with 30″ tubes. I’ll be rooting for both to go sky high in a few hours!